Get all the information you need on the 2015 Zurich Classic of New Orleans right here. With the WGC Accenture Match Play next week, this is the only DFS PGA tournament for the next two weeks. Here, we give the best strategy and sample lineups for how you can win money at the 2015 Zurich Classic of New Orleans. Like the RBC Heritage last week, the Zurich Classic has a mediocre field. There are still top players like Dustin Johnson, Jason Day and Justin Rose, but most of the best competition has already made their way to San Francisco to prepare for the Match Play. The Match Play used to be played during the West Coast swing in Arizona, but it was moved to San Francisco and is now played in late April (San Francisco is fine, but moving the date was a mistake, in my opinion). This has slightly weakened the field of New Orleans. Therefore, we must dig deep to find the best players for our lineups. The good news is that DraftKings did not follow the sportsbook lines very well. It’s that time of year where the sportsbook lines and DraftKings salaries start having some differences. This is due to Vegas skewing some of the lines to favor how someone performed at a major, WGC or another big tournament. Or, it’s DraftKings’ algorithm not factoring in how well a player has performed as of late. So, we will use the odds per dollar tab as our biggest priority for making lineups. To clarify, you want to use as much salary as possible while finding the best values. Remember, there are often more than six good plays each week. Just because I only give one lineup at the end of these articles doesn’t mean there aren’t other good plays. The odds per dollar tab is your best friend for making your PGA lineups when DraftKings’ salaries are off. If you’re entering GPPs like the $100k Birdie or the $200k Fairway, you’re best off making multiple lineups with the guys who have the best odds and making different combinations. There are also often overlays in these contests, which means it’s best to make ample lineups with great variety to increase your chances at a big score. The other pages to look at for trying to find other options in your lineups are driving distance and birdie or better percentage. 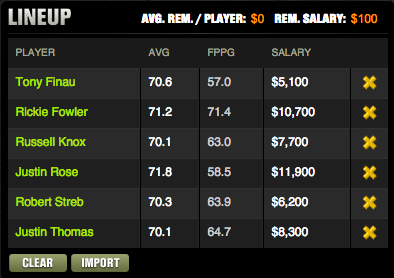 Again, with the scoring system on DraftKings, birdies and eagles are critical while making sure guys make the cut. Obviously, anyone can miss the cut at any point, which is why we say go for variety, follow the odds and take the guys who are aggressive/long-ball hitters. TPC Louisiana, the host of the Zurich Classic, is a par 72 with four par 5s that are all possible to eagle. There have been approximately 30 eagles made each tournament over the last several years and having the length is crucial. The length of the holes are 545, 561, 575 and 585 yards. The champion of the event is usually between 15 and 20-under. Because the last couple weeks the sample lineups I have posted haven’t been doing as well, we’ll go with two this week. All of these picks have fantastic odds per dollar. 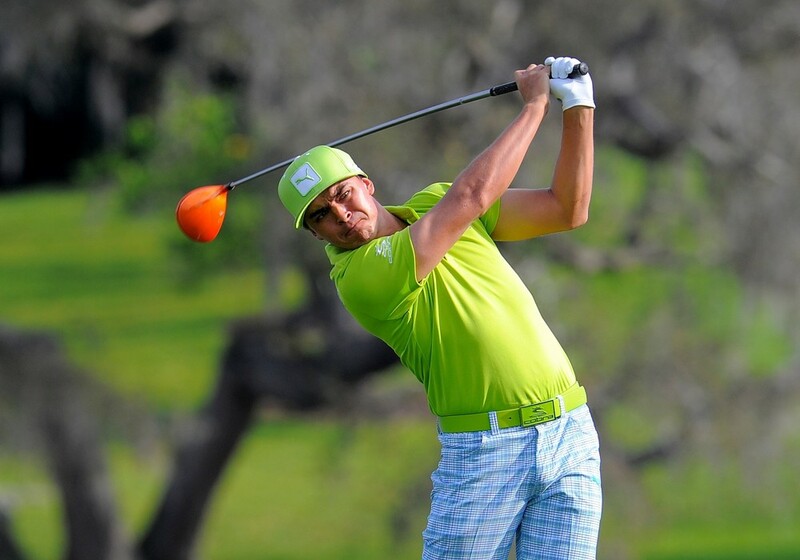 Rickie Fowler $10,700 – Fowler also got his game rolling again at the Masters and has some of the best odds of anyone in the entire tournament. 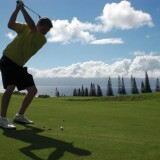 Brendan Steele $9,200 – 14th in driving distance and 15th in birdie or better percentage. Steele hasn’t missed a cut this year. Justin Thomas $8,300 – Has the best odds of anyone in the field, is 23rd in driving distance and 14th in birdie or better percentage. Nick Watney $8,100 – Is average in terms of driving distance and birdie or better percentage but is usually a threat to win in the weaker fields. Russell Knox $7,700 – Five top 20s and two top 10s this year. That missed cut at the Texas Open was mostly due to him being part of that Thursday morning wave where the wind was absurd compared to the afternoon. Robert Streb $6,200 – 42nd in driving distance. Has great odds, but hasn’t been playing his best as of late. Will use him occasionally, but he was more of a fill-in play. Marc Leishman would also fit here, and he also has decent length off the tee. Aaron Baddeley $5,800 – 25th in driving distance and 43rd in birdie or better percentage. Baddeley typically has high variance but he can certainly go low. Tony Finau $5,100 – I wouldn’t use Finau in any cash lineups but his odds are great, he’s 4th in driving distance and 25th in birdie or better percentage.